Back on the Market! Stop vacationing and start living! 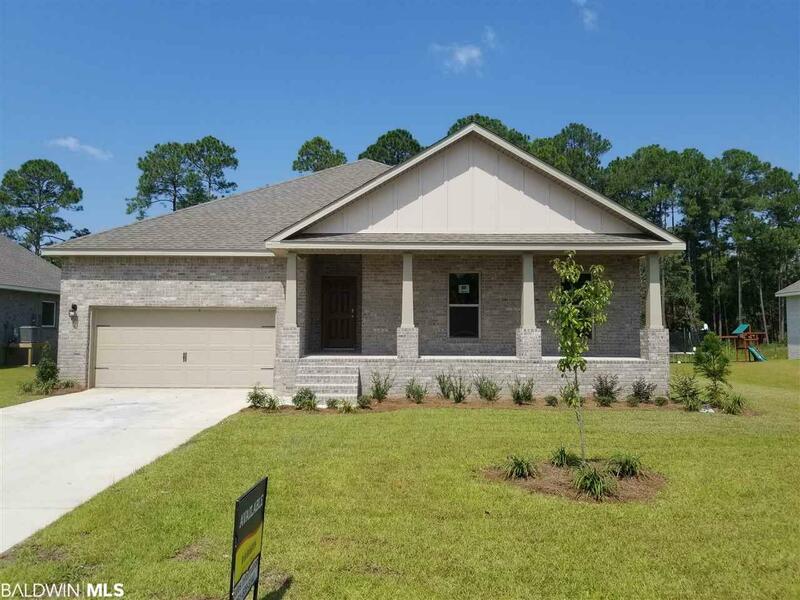 Fantastic open floor plan with split bedrooms located on quiet cul-de-sac in the golf course community of Islandwood in the sought after Wedgewood area of Gulf Shores. Kitchen features upgraded white designer painted cabinets, granite countertops, stainless Frigidaire appliances including a gas range, corner pantry, recessed lighting, and island overlooking huge family room with double trey 11&apos; ceiling with crown molding. Dining and Family room have beautiful views of the golf course with some trees for privacy! Large Master bedroom also overlooks golf course and features trey 10&apos; ceiling with crown molding, large 7x12 walk-in closet, adjoining master bath with garden tub, 5&apos; tile shower with bench seat, dual sink granite vanity, private water closet, and linen closet. Luxury Vinyl Plank throughout with plush carpet in bedrooms only. Builder warranties and 10-year structural warranty through national company. Home is under construction with estimated completion date May, 2019. * This home is being built to Gold FORTIFIED HomeTM certification, which may save the buyer on their homeowner's insurance. (See Sales Representative for details.) **This home features our Home is Connected (SM) Smart Home Technology, which includes control panel, doorbell, smartcode lock, two smart light switches, and thermostat, all controlled by one app. (See Sales Representative for complete details on these smart home features.) ***Pictures are of similar home and not necessarily of subject property, including interior and exterior colors, options, and finishes. Directions: From Gulf Shores Pkwy, West On 19th Avenue Which Becomes Wedgewood Drive. Follow Wedgewood Into Islandwood, Then Left Onto Hogan Drive. Follow Hogan To Circle. Home Is 2nd On Left After Passing Wooded Common Area.